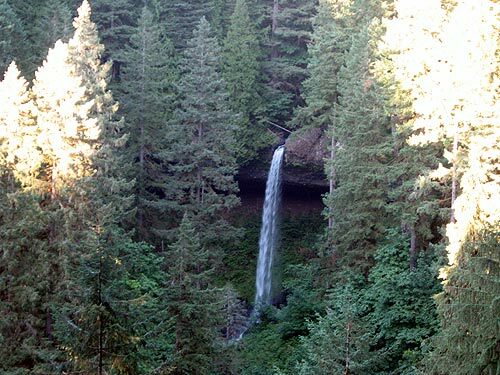 Officials said there is much to see at Silver Creek Falls State Park, located only 25 miles east of Salem. “Robins, hairy woodpeckers, hummingbirds, Oregon juncos, common raven, winter wren (a tiny bird with a big call), red-breasted nuthatch and ruffed and blue grouse can be seen and heard on a stroll along the trails,” ODFW said. Officials suggested to periodically stop and look closely: you may see a well-camouflaged brown creeper working its way up the side of a tree, foraging for insects in the bark as it goes. Stay until late afternoon or early evening. Silver Falls is a mecca for owl lovers. Listen for many of Oregon’s owls: barred, pygmy, great gray, great horned, saw whet and, maybe even, spotted. It’s wildlife breeding season so keep dogs on a leash - it’s required. At the EE Wilson Wildlife Area near Corvallis, ODFW said wildlife viewing remains good for waterfowl and shorebirds. Neotropical migrants in the area include yellow-breasted chat, American goldfinch, various swallows, warblers, thrush, kinglet and common yellowthroat. The Sauvie Island Wildlife Area is open, You'll need a parking permit, which are $7 a day or $22 for the season. ODFW said bald eagles and red-tailed hawks are very active caring for their new arrivals. Anna's and Rufous hummingbirds are back in great numbers and the finches are arriving. The great blue heron rookery is visible from the Walton beach parking lot. Herons generally nest (roost) in colonies in large trees. The ospreys are building their nests; cinnamon teal, wood ducks and gold finches are arriving.